please call or email us at info@sharmanavionics.co.uk. We look forward to hearing from you. EASA / CAA certification of avionic installations. We also work close with our designated FAA DER’s for the certification of US registered aircraft avionic installations. 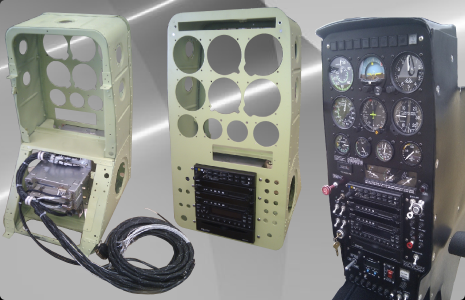 CAA Annex II approved modifications for both helicopter and aeroplane avionic installations. 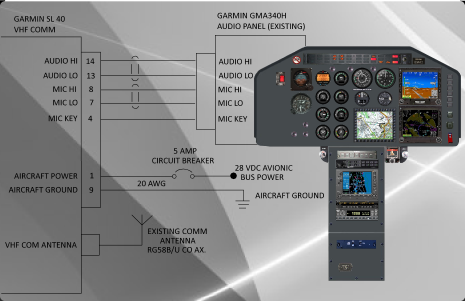 Our installation team has a combination of over 60 years experience in avionic installations which range from a simple intercom installation to a glass cockpit / autopilot installation. Our installations are evenly distributed between aeroplanes and helicopters and all are carried out and certified by highly experienced licensed aircraft engineers. We carry out all of our structural and sheet metal work, wiring loom building and manufacturing processes within our facility at Sywell Aerodrome. Our team are particularly experienced with modern composite / honey comb materials and structures commonly used on helicopters making sure that all of our installations are carried out to the highest possible standards. Apart from offering a full avionic or autopilot installation, we also offer existing avionic upgrades / modifications and any rework to an existing installation.